Here it is! The pleated shoulder bag is now available in my shop. 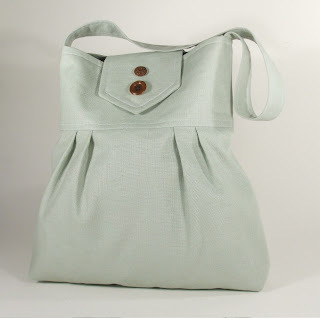 The one posted above is made from a mint green linen/cotton blend fabric. I love the vintage buttons that give it a unique one-of-a-kind look. Check out my shop Pesky Cat Designs for more of my new collection.